Like Madison, Austin is a state capital and home to a major public university, the University of Texas at Austin (UT Austin). Unlike Madison, Austin is a large city (two million people in the metro area) with a diverse population and economy to match.1 But beyond UT Austin and the state capital, Austin is famous for several other reasons. Its culture has become the stuff of legend, and is at the core of Austin’s reputation as a place that mixes the offbeat with the artistic to produce a unique urban vibe.2 Finally, Austin is one of America’s fastest-growing tech hubs. All of this activity has produced a hot labor market in Austin: although estimates vary, the tech sector is responsible for some 12 percent of the city’s total employment, with an average wage of nearly $104,000 per year.6 Forbes magazine estimated that over the decade beginning in 2004, tech sector jobs increased by 74 percent in the city.7 A shorthand statistic, commonly mentioned in conversation with Austin residents, is that about 150 people per day, every day, move into the city. While not all of these newcomers are drawn in by the rapidly growing tech sector, it is a fair bet that a large percentage move in for this reason. Can the city keep its offbeat charm, rooted in its food, music, and arts scenes, while getting rich off of tech? Austin’s tech ecosystem is therefore a huge beneficiary of the city’s culture, though the tech community itself has become part of the city’s vibe. To these cultural considerations, Austin offers the benefits of a large city with the affordability of a smaller one. Unlike the Bay Area or Boulder, there are few geographic limitations constraining Austin’s explosive growth, which means that housing costs should remain low relative to Silicon Valley for the foreseeable future. (One real consequence is that traffic congestion, due to sprawl, has become a serious headache.) There is also no state income tax. UT Austin is one of the world’s largest universities, and has a stellar academic reputation. In the technology arena, the university can boast a healthy amount of research activity. Beyond its student body, which provides the city with much of its energy and a portion of the local tech sector’s talent, the university has several important programs and centers focusing on innovation. The IC² Institute is a UT Austin “think and do” tank, founded in 1977, that focuses on collaboration among researchers, public officials, and entrepreneurs to enable Austin’s tech ecosystem. IC² programs include the Austin Technology Incubator, which advises local startups.10 UT Austin’s Cockrell School of Engineering has an Innovation Center, led by Dr. Robert Metcalfe, founder of the Ethernet. It focuses on commercializing UT Austin research through startups as “vehicles of innovation.”11 It offers advice and training to faculty and staff, provides small startup grants, and hosts competitions, among other activities. But Austin’s happy story is beset by a few challenges. One, mentioned frequently by those active in the city’s tech scene, concerns both Dell and UT Austin. While Dell was critical for putting Austin on the national and global tech maps, it has not built a spinoff culture from which the rest of Austin’s tech ecosystem benefits. Rather, Dell has built a reputation for protecting its own assets and technologies rather than for encouraging its employees to start new ventures in Austin. In a similar vein, UT Austin does not spin out startups as frequently as the University of Wisconsin and a select few other universities. A major problem, heard over and again in Austin, is that the university and the city’s startup community really do not overlap. Although the university is trying to change things, for a number of reasons, including culture and institutional inertia, UT Austin has struggled to turn faculty and lab research into commercial success. So, unlike in Madison, much of the startup activity in Austin surrounds proven technologies, especially in information technology and the app economy. The university’s lab breakthroughs figure little in Austin’s startup economy.12 UT Austin is therefore viewed as being most valuable for providing a skilled workforce and for attracting talent to the city. Many hope that the new Dell Medical School, which emphasizes the positive and disruptive role of technology in medicine, will help change this equation. A second challenge involves whether Austin has the means to enter the top rank of tech hubs. It is true that Austin’s growth has been spectacular, and as the startup rankings demonstrate, in some important respects Austin already is at the forefront of the nation’s tech hubs. Yet the omnipresent fear, articulated by members of the tech community (and one heard in Madison and Boulder as well) is that a ceiling exists for Austin. As with other inland tech hubs, securing access to capital is a constant headache. Although Austin startups enjoy greater access than their counterparts in the other hubs visited in this study, firms in Silicon Valley—the recognized global leader—have far greater access than those in Austin.13 Indeed, local tech leaders fret that Silicon Valley will define Austin’s ceiling. Austin, they fear, might not reach the top rank of tech hubs because its most successful startups will be forced to relocate headquarters to Silicon Valley. Investors, they argue, will insist that successful startups be positioned in high tech’s epicenter, which is the Bay Area. 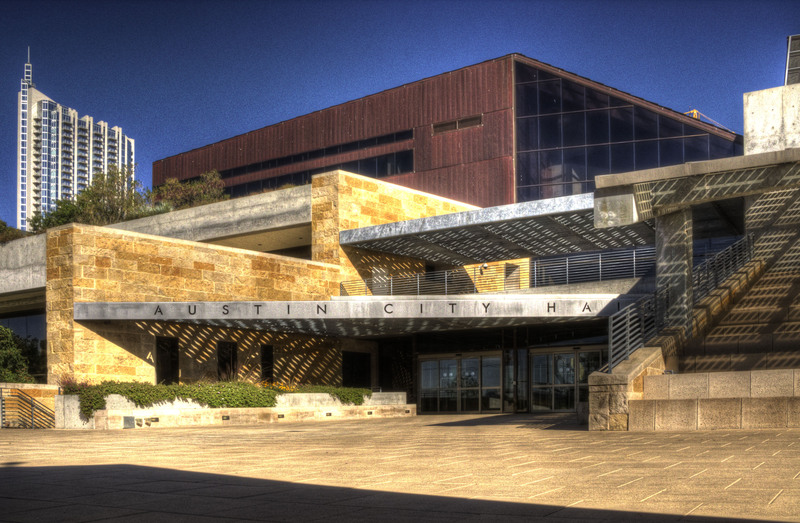 Conversely, while Silicon Valley’s heavyweights such as Google and Apple will place some functions in Austin to take advantage of the city’s talent and lower costs, those companies also will retain their most critical functions, including their headquarters, in California rather than shift their entire operations to Austin. Yet, regardless of whether Austin ever reaches the status of Boston or Silicon Valley, tech-driven growth is set to continue for some time. The consequences of this growth create a final challenge for Austin. As Austin’s tech sector has succeeded, the city in turn has become a more expensive place to live. With that transformation has come a have-versus-have-not divide, one that has begun to show up in the city’s politics. In May 2016, Austin’s voters decided to regulate the sharing economy, a decision that was interpreted as a swipe against the Silicon Valley car-sharing firms Uber and Lyft, both of which lobbied hard to prevent this outcome.14 More broadly, this “Prop 1” debate showed that not all Austin residents are happy with the rapid transformation that the tech sector has brought with it. A subset of this debate surrounds the “Keep Austin Weird” dilemma: Can the city keep its offbeat charm, rooted in its food, music, and arts scenes, while getting rich off of technology? This fear has been part of Austin’s landscape for a long time. Both sides have their arguments. The pessimists believe such an outcome is an inevitable by-product of wealth, while the optimists say that the tech sector’s growth will stimulate its offbeat culture. As tech comes in, the optimists believe, the creative communities will prosper rather than be driven out. Artists and musicians will find new creative outlets (e.g., gaming, film, visual arts, and design) for which they will be well paid. In 2015, the Austin region (Metropolitan Statistical Area) had 2,000,860 people, putting it thirty-fourth in size nationally. The 2010 Census counted 1.7 million people in the region. Data derived from U.S. Census Bureau, https://factfinder.census.gov/faces/nav/jsf/pages/index.xhtml. For a review of Austin’s food culture, see Peter Jon Lindberg, “It's Official: Austin Is America's Next Great Food Town,” Travel + Leisure (undated), http://www.travelandleisure.com/articles/austin-food-travel. E.J. Reedy et al., The 2016 Kauffman Index of Startup Activity: Metropolitan Area and City Trends, Ewing Marion Kauffman Foundation, August 2016, Table 1, 11, http://www.kauffman.org/~/media/kauffman_org/microsites/kauffman_index/startup_activity_2016/kauffman_index_startup_activity_metro_trends_2016.pdf. Jonha Richman, “Here’s Why Tech Startups Are Flocking to Austin,” Tech.co, April 19, 2015, http://tech.co/make-way-silicon-valley-heres-tech-startups-flocking-austin-2015-04. In 2013, the New York Times estimated there were “at least” fifteen accelerators and incubators in Austin. See Eilene Zimmerman, “Austin’s ‘Silicon Hills’ Builds on Its Infrastructure,” New York Times, July 17, 2013, http://boss.blogs.nytimes.com/2013/07/17/austins-silicon-hills-builds-on-its-infrastructure/?_r=4. Colin Morris, “2015 Austin Startup Report: $966M in Fundings and a $3.9B Exit,” Built in Austin, January 22, 2016, http://www.builtinaustin.com/2016/01/19/2015-annual-report. HomeAway was founded in Austin in 2005. See “Corporate Timeline,” HomeAway, https://www.homeaway.com/info/media-center/more-info/ha-timeline. Mike Montgomery, “Tech Startups Weigh the Merits of Austin vs. Silicon Valley,” Forbes, March 19, 2015, http://www.forbes.com/sites/mikemontgomery/2015/03/19/tech-startups-weigh-the-merits-of-austin-vs-silicon-valley/#34f1e1b7df74. How South By Southwest Has Made Austin a Technology Powerhouse,” Snyxius.com, March 1, 2016, https://www.snyxius.com/blog/how-south-by-southwest-has-made-austin-a-technology-powerhouse/#.WE2Y_2cVDIU. On Twitter and SXSW, see Sarah Kessler, “6 Successful SXSW Startup Launch Stories,” mashable.com, March 5, 2011, http://mashable.com/2011/03/05/sxsw-launches/#2EvM1Y2Md5qu. See also “26 Years at SXSW: A Q&A with Festival Director Hugh Forrest,” Freeenterprise.com, March 13, 2015, https://www.freeenterprise.com/26-years-at-sxsw-a-qa-with-festival-director-hugh-forrest/. For a history of Dell’s early years, see “Dell Computer Company,” Texas State Historical Association, (undated), https://tshaonline.org/handbook/online/articles/dndyy. “About the IC2 Institute,” UT-Austin, http://ic2.utexas.edu/about/. “Innovation Center,” UT-Austin Cockrell School of Engineering, http://www.engr.utexas.edu/innovation. The University’s Office of Technology Commercialization, which is responsible for tech transfer, reports that over a decade ending in 2015, it has received $156 million in licensing revenue; in 2015 that figure was $22.7 million. See “OTC Metrics,” UT-Austin, Office of Technology Commercialization, https://research.utexas.edu/otc/about-otc/otc-metrics/. In comparison, the Wisconsin Alumni Research Foundation at the University of Wisconsin has a $2.6 billion endowment and returns some $100 million in royalties annually to the university. According to the latest version of the MoneyTree report by the consultancy PwC, in the third quarter of 2016, Silicon Valley firms attracted $4.6 billion in venture capital investment compared with $211 million for all of Texas. See Q3 2016 MoneyTree, PwC, 7. This controversy was known as the Proposition 1 debate. Uber and Lyft spent an estimated $8 million in advertising and public relations trying to convince locals to not regulate the car-sharing industry. See Fitz Tepper, “Uber and Lyft Shut Down in Austin after Voters Defeat Proposition 1,” TechCrunch, May 7, 2016, https://techcrunch.com/2016/05/07/uber-and-lyft-shutdown-in-austin-after-voters-defeat-proposition-1/.